Can the Second Amendment Be Used to End Police Brutality? There will be no end to gun violence until there is an end to police brutality. This was one of the greatest lessons taught to the United States, and the world, by the youth leaders at the #MarchForOurLives. They taught us as a nation that gun violence not only affects communities of color in the same ways that it affects white communities, but it also affects them in different ways that white communities have the privilege to avoid and ignore. One of the most painful consequences of living as a person of color in a nation riddled with racism and bullet holes is police brutality. While white males (and females) are afforded legal protections for possessing a firearm under the Second Amendment, people of color — black men especially — are too often gunned down by the police for exercising this right. This problem is exacerbated by the gun lobby’s continual insistence on defending white gun ownership and persecuting black gun ownership. For example, while hundreds of thousands of children all over the world were marching for their lives, the NRA was busy defending the murder of Philando Castile. While we are mourning the loss of Stephon Clark, they are busy trying to arm more police officers and put them in our schools. While they pretend to defend the Second Amendment right for an individual to possess a firearm, they simultaneously make excuses for black men to be murdered for possessing anything that could be “mistaken” for a gun — like a cell phone. While they say that the Second Amendment right to possess a firearm, they argue that that only applies to black men if they say the magic words properly. This hypocrisy is what is serving to divide our nation at the hands of the gun. It is why children of color must fear for their lives from the threat of mass shooting and the threat of police brutality in their schools. And this is where #BlackLivesMatter and #MarchForOurLives collide. Gun violence must end for all children and all communities. And to do this, just as much effort needs to be placed on ending police brutality as there is on ending mass shootings and violent crimes. 11-year-old Naomi Wadler could not have made this clearer. And we need to answer her call. There is a false claim that no one is above the law. There are 3 court cases that ensured that there are certain people that are above that law. And those people are called police officers. The court cases that made it possible for police officers to murder innocent civilians without facing consequences are Harlow vs. Fitzgerald (1982), Tennessee vs. Garner (1985) and Graham vs. Connor (1989). Harlow v. Fitzgerald (1982) gives law enforcement officers “qualified immunity” and “absolute immunity” from consequences for crimes committed in the line of duty. The Supreme Court of the United States ruled that “”government officials performing discretionary functions, generally are shielded from liability for civil damages insofar as their conduct does not violate clearly established statutory or constitutional rights of which a reasonable person would have known.” This the first line of defense offered to a police officer that has committed murder while wearing the badge. Tennessee v. Garner (1985) allows police officers to murder people whether a crime has been committed or not. This form of law enforcement is very reminiscent of lynching and allows law enforcement to commit murder if “the officer has probable cause to believe that the suspect poses a significant threat of death or serious physical injury to the officer or others.” This case also sets the precedent that allows police officers to kill fleeing suspects and targets “believed’ to be violent or carrying a weapon. This case is also used to defend officers that mistake items such as toys, cell phones and other objects for guns in their commission of murder. Graham v. Connor (1989) allows police officers to target, brutalize, and even gun down innocent people if it is considered “reasonable.” This “objective reasonableness” protection was added to the list of defense claims that an officer can make to walk free for the commission of violent crimes because, as the court argued, “the ’reasonableness’ of a particular use of force must be judged from the perspective of a reasonable officer on the scene, and its calculus must embody an allowance for the fact that police officers are often forced to make split-second decisions about the amount of force necessary in a particular situation.” This allows police officers to judge independently that a white man with a gun may be reasonably seen as a citizen exercising their Second Amendment while a black man with a gun is seen as a threat that can be shot down. These laws enable a system where the Second Amendment is a protection that is afforded to white people and used as an excuse to kill black people. This pattern needs to end. If there is to be a Second Amendment, however it is interpreted in terms of gun control, it needs to be a right for all citizens. If there is to be a Second Amendment, it needs to stop being used as both an excuse for black men to possess guns and an excuse for police officers to shoot them for doing so. The Strategic Institute on Intersectional Policy (SIIP) is calling for an end to gun violence and stands in solidarity with the students that are marching for their lives. We also stand in solidarity with communities that have been fighting to end police brutality for generations. To that end, we are demanding that the three cases above be challenged in federal court as violations of a citizens’ Second Amendment right to bare arms, as it is currently interpreted under the District of Colombia v. Heller. This call is being directed towards anyone and everyone fighting gun violence. We hope that the #MarchForOurLives and the survivors of Parkland hear our call. We hope that #BlackLivesMatter and all organizations working to end police brutality at the local and federal levels hear this call. And we insist that the Democratic Party and all left wing legal organizations including the NAACP and the ACLU not only hear this call, but they respond to it. Most of all, though, SIIP is calling out the NRA and demanding that they prove that they believe the Second Amendment right to bear arms should be enforced to protect people of color as much as it is enforced to protect white people and police officers that commit murder. We are calling the NRA out on its generations of hypocrisy and demand that they take their lawyers, their money, and their power to overturn Harlow, Tennessee and Graham. Communities fighting gun violence don’t need the NRA to set this in motion, but we are calling on them to do so because they have positioned themselves as it’s defender for all people. It’s time they proved it. And if they refuse to do their part to end police brutality, their time as defenders of the second Amendment in the public eye is officially up. (Even if they make another video with Collins and Killer Mike.) We don’t need the NRA to take these cases to court. We just need the NRA to show to us once and for all where they really stand. 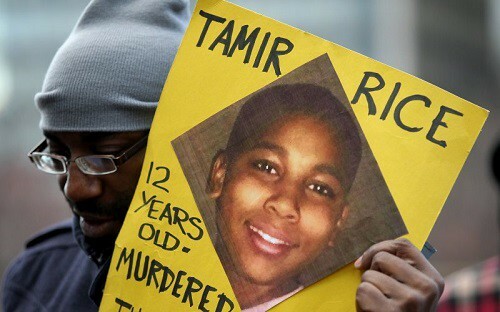 There is no end to gun violence without an end to police brutality. The thousands of people that marched for their lives and the youth leaders that led the way made it clear that it is time to ensure that #NeverAgain applies to victims of gun violence at the hands of both criminals and police officers. The strategy to overturn Harlow, Tennessee and Graham serves as a step in that direction. And with this step and many others, we will continue to March for our Lives until they are all protected from gun violence.